Important – You can also use your old Debit/credit card which you used at Freecharge Refer And Earn offer. but now you will get Rs 30 cashback on Rs 30 recharge. offer is also valid for Airtel users. On every successful Referral which will make recharge worth of Rs.30 using your referral coupon code you both will get Rs.30 free cash. 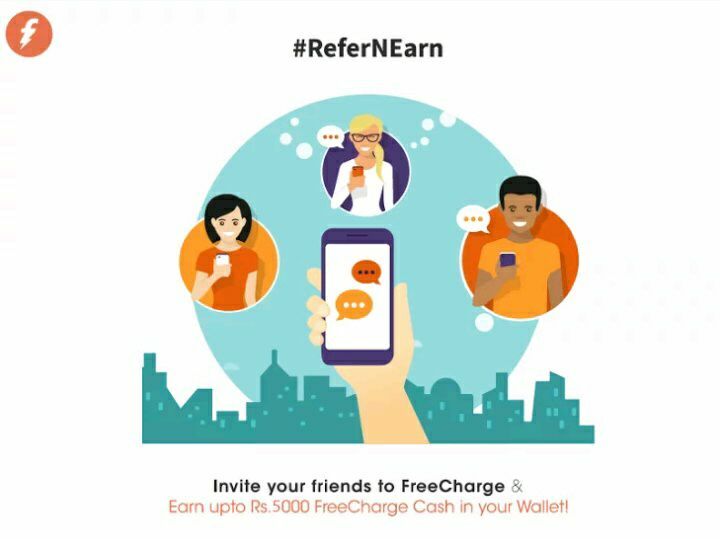 To get your freecharge Referral code after Rs.30 recharge go to app menu >> Reward. Both you and your referred friend will get Rs.30 cashback. You can earn maximum upto Rs.5000 using FreeCharge “Refer and Earn” offer.